The Kuwait mission to the UN, Mansour Al-Otaibi, has declared that the Security Council decisions on the situation in the Gaza Strip have failed to lead to an outcome. Al-Otaibi stated, according to Al Ray, that most of the representatives of Member States, during the consultation meeting, affirmed the need for a Security Council move. Moreover, they endorsed a visit to the Gaza Strip. The Permanent Observer for Palestine to the United Nations, Riyad Mansour, stated that the Security Council is “paralyzed due to the situation of one state” in a reference to the USA, which inhibits the Security Council from discussing the Palestinian cause. Al-Otaibi added that the Security Council should move to lift the siege on the Gaza Strip in order to bring back a normal life for its citizens. 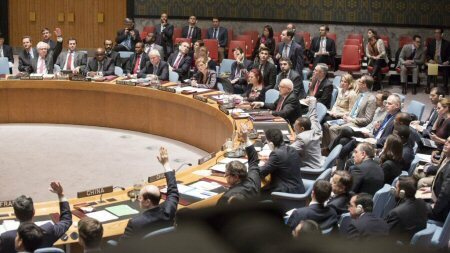 The Security Council held the session after a truce was announced, in the Gaza Strip.